Dutch prime minister Mark Rutte has described the way US president Donald Trump pulled out of the Iran nuclear deal as ‘bullish’. 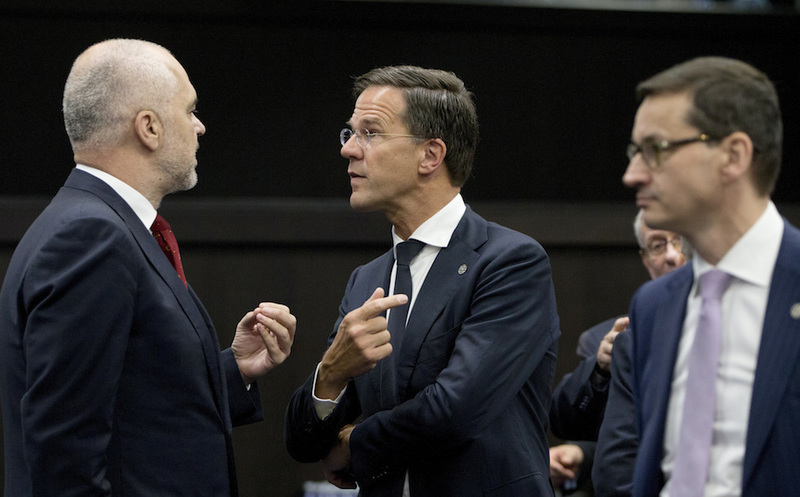 Rutte went on to say that friendship with the US remains important, but that the assumption that friends listen to each other and take each other into account ‘would appear to have been shot through’. Earlier in the day, EU president Donald Tusk condemned the US’s withdrawal from the Iran deal in a speech at the start of the summit. ‘We are witnessing today a new phenomenon: the capricious assertiveness of the American administration. Looking at the latest decisions of President Trump, some could even think, “with friends like that, who needs enemies?”‘, Tusk said.